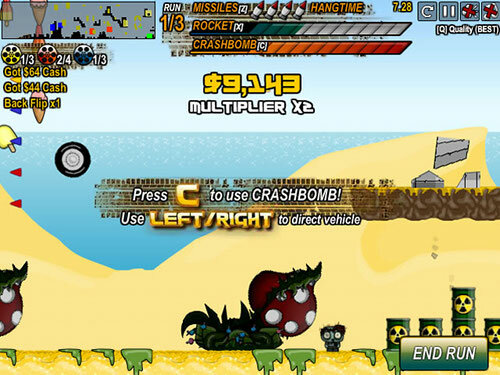 Description Drive beach buggys and boats and perform crazy stunts in this summer-themed version of Stunt Crazy. Use your stunt rocket and crash bomb to good effect to get around even if you lose your wheels or you are in a boat out of water. Collect all the stunt reels and smash up as much stuff as possible to progress to the next level. Earn enough cash and you can buy yourself a new car! 8 beach themed levels and 6 cars to unlock.